Snow Quartz is a translucent white form of Quartz. It is a member of the Chalcedony family, and is made of silica. It is a Cryptocrystalline Quartz. It is found in Brazil, US, and Mexico. 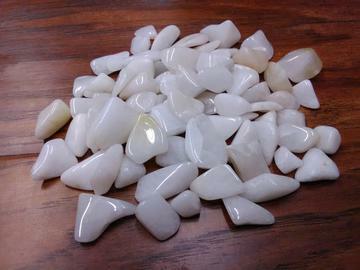 Snow Quartz helps bones, teeth, bone marrow and the absorption of calcium. It can soothe those facing early menopause as well as those already dealing with the symptoms.